Horse Riding GoPro Camera for Equestrian Sports. Helmet Hat Action. Why Use a GoPro for Horse Riding? Conventional cameras take nice photos when horse riding, but they can be inconvenient to use. You have to remove the camera from its case and take photos using your hands. This may involve stopping the horse completely - not ideal when you are on a long trek with a group of other riders. Furthermore when you have stopped specially to take a photo, you are not capturing the actual horse riding action. It is fine for recording the scenery and photos of the group when stationary, but for more interesting horse riding shots we suggest a GoPro helmet camera. With a horse riding GoPro attached to your hat, your photos roll in the background whilst you are out riding. 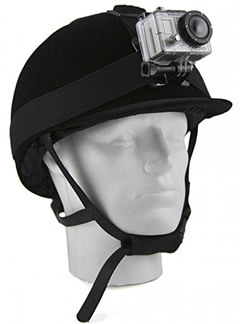 The helmet GoPro is ideal for capturing the horse riding from the riders perspective. You can also take interesting full HD videos to show your friends and family. 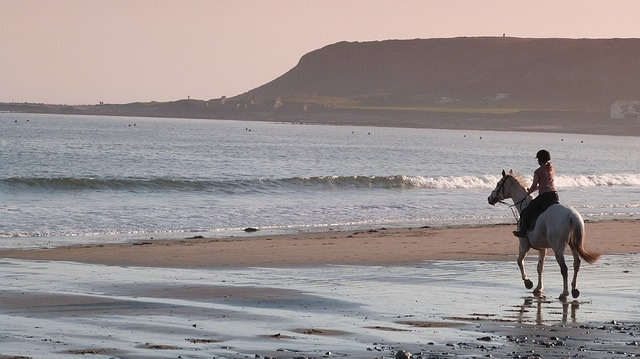 Perhaps you are navigating a difficult path, or cantering along a scenic beach and want to preserve the moment in film. The WiFi remote control makes it easy to start and stop the recording, so you never miss the important action when it happens. With the slow motion mode you can slow down the video to capture the animal's graceful movements, with no jerkiness. With this mode you may also record you or your friends in action, and play it back slowly to review and analyse your technique. 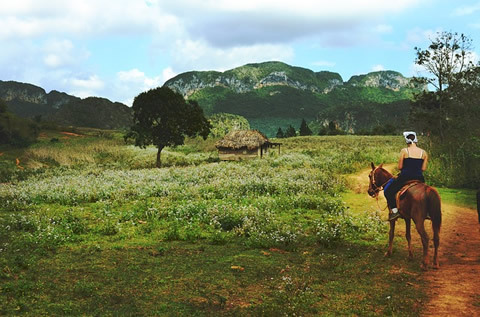 A horse riding GoPro style camcorder offers many advantages over a conventional photo model for equestrian activities, especially if you are going on a long trek. With your unique perspective of the animals, people and surroundings, you may find you become the photographer for the whole group! 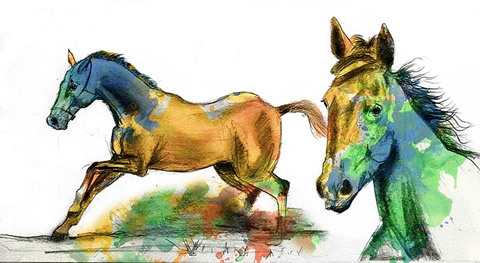 Why not try it yourself, and see if you can make the best photographic record of your equestrian adventure.